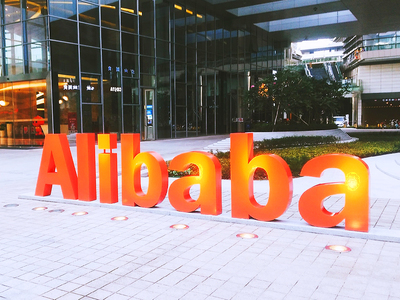 Alibaba Group pledged on Tuesday to help import 200 billion U.S. dollars worth of goods from more than 120 countries and regions over the next five years, as the country's top e-commerce player boosts its efforts to meet rising demand in China for high-quality international products. Between 2019 and 2023, the company will help import international goods from businesses of all sizes in countries and regions including Germany, Japan, Australia, the United States and South Korea, it said during the ongoing China International Import Expo in Shanghai. "Globalization is one of Alibaba's most critical long-term growth strategies," the company's CEO, Daniel Zhang, said. "We are building the future infrastructure of commerce to realize a globalized digital economy where trade is possible for every country around the world." Top global brands, from Procter & Gamble to Nestle, touted their holistic partnerships within the entire Alibaba ecosystem, through which they can effectively engage with China's massive middle-income earners, a primary engine fueling China's consumption growth. "We just entered into a partnership with Alibaba to further tap the Chinese market by leveraging the firm's consumer insights, big data analytics, and new retail initiatives to spur our growth," said Charles Kao, China president of South Korean cosmetics company Amorepacific. Amine Haddad, chief executive officer of Australia's Freedom Food Group, said his company is developing cereal products tailored to Chinese consumers, who are becoming "much more sophisticated". "Chinese customers are much more demanding of quality, of making sure the product lives up to expectations," he said. "That's why we look for good partnerships in China like Alibaba to make our products available and relevant to them." China's cross-border e-commerce market has grown remarkably, with the proportion of imports to total e-commerce sales surging from 1.6 percent in 2014 to 10.2 percent last year, according to a report released by Deloitte China, the China Chamber of International Commerce and AliResearch last week. On the same day, another cross-border e-commerce platform NetEase Kaola signed procurement deals worth 20 billion yuan (2.9 billion U.S. dollars) with 110 companies at the expo.